This is the less premium of the Morland’s beers. 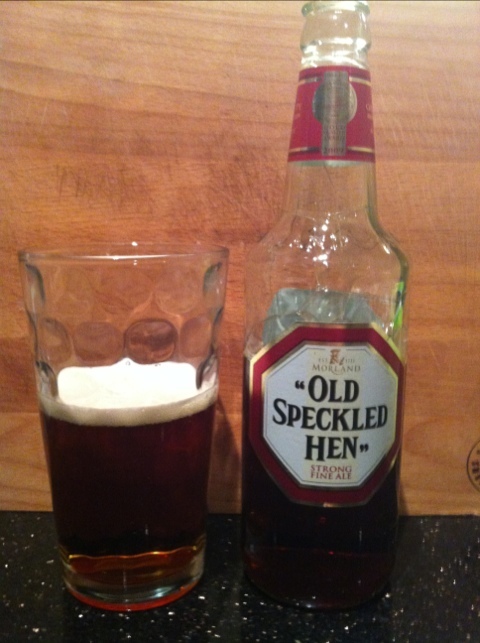 Old Speckled Hen is a classic beer, and rightly so. 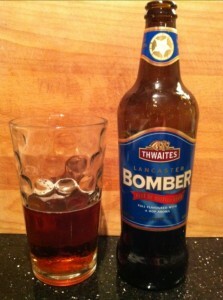 It’s got a lovely dark, ruby colour and a cracking head. It’s s proper good pint. 500ml is 5.2% so it’s quite strong.